While the models are away the wolves will play (with more models). 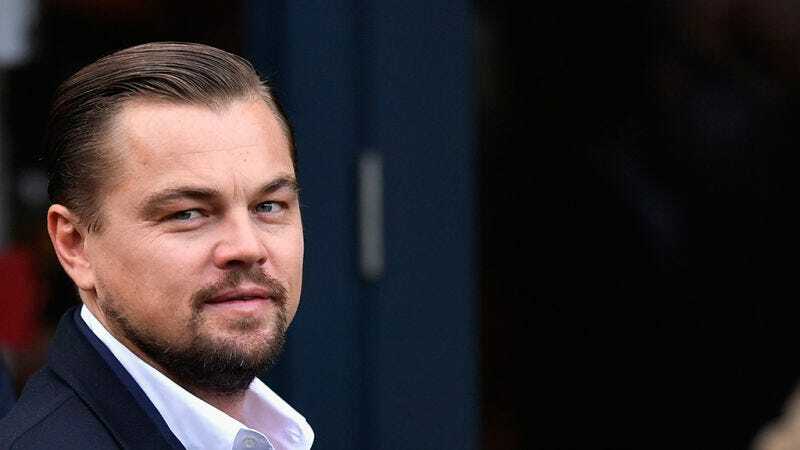 According to Page Six, frequent boyfriend of models Leonardo DiCaprio and his infamous “wolf pack”—including Tobey Maguire and Lukas Haas—hung out together at Catch LA. There, DiCaprio was seen taking several smoke breaks with lingerie model Paige Watkins. A few days ago, Radar reported DiCaprio was partying with nine unidentified models. Problem: DiCaprio already has a girlfriend, model Nina Agdal, who has conveniently been out of town. Everyone is obviously denying this little tryst. Watkins’ modeling agency spokesperson told the Post, “There is no confirmation that they are a couple nor were they holding hands.” Hm, sounds like they are a couple and holding hands, we’re just all slow on the uptake. DiCaprio’s rep called the story, “totally false” and said that DiCaprio was just at 10ak with “all his boys for a holiday party.” He would, touché. Happy holidays, I’m these sleds. Kim and Kanye took their daughter North to see an L.A. production of The Nutcracker. Not everything is terrible, not at all.